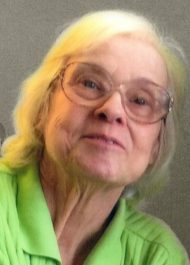 Beverly A. Ruhl, 73, of Warwick Twp, passed away late Wednesday, March 27, 2019, at Conestoga View Nursing Home. Born in Reading, she was a daughter of the late Forrest and Pearl (Krewson) Sell. Beverly was the beloved wife of Jacob R. Ruhl with whom she shared 35 years of marriage. Beverly attended Reading High School. For more than 30 years, she worked as an assembly line worker for the RCA Corp. and its successors, retiring from Bosch Electronics in 2009. Following retirement, Beverly enjoyed reading and spending time at home with her family. She was a member of Faith United Methodist Church in Lititz. In addition to her husband, Beverly is survived by her son, Michael Blanshine and his wife Carol of Elizabethtown. Also surviving are three grandchildren, Holly Diegel, Hope Painter and her husband Dylan, and Nathan Diegel, and one great-granddaughter, Sadie. She was preceded in death by her parents, her daughter Michelle Kushner, and sisters Sherry and Patricia. Condolences to the Ruhl family. Our thoughts and prayers go out to your whole family. Psalms 147:3 says God, “heals the broken hearted, and binds up their wounds.” May God bring you comfort and peace.